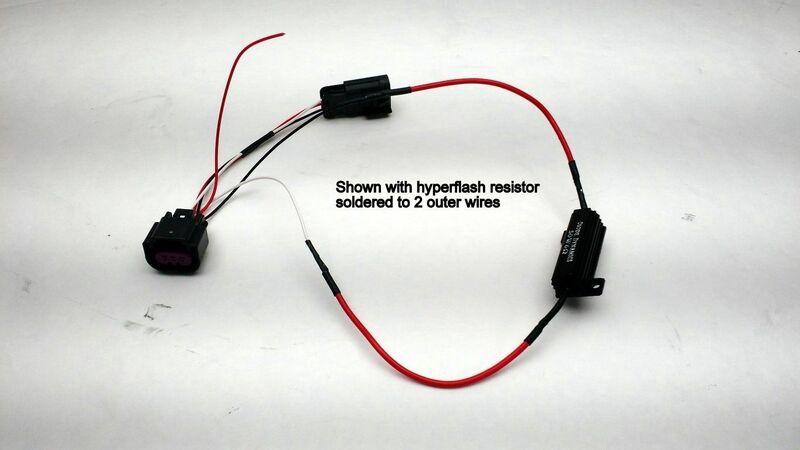 These simple plug n play passthrough adapters make installing things like halos or resistors easy! Don't feel like splicing into your stock wiring? No problem! 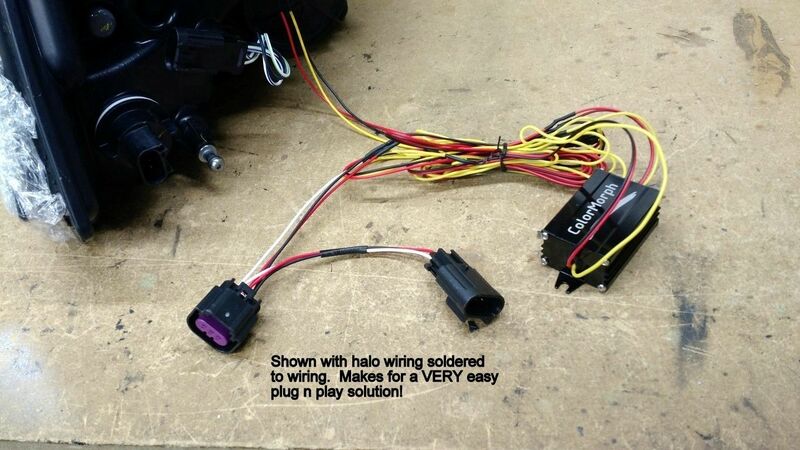 This allows you to have 3 wires to splice into, keeping your stock wiring intact. 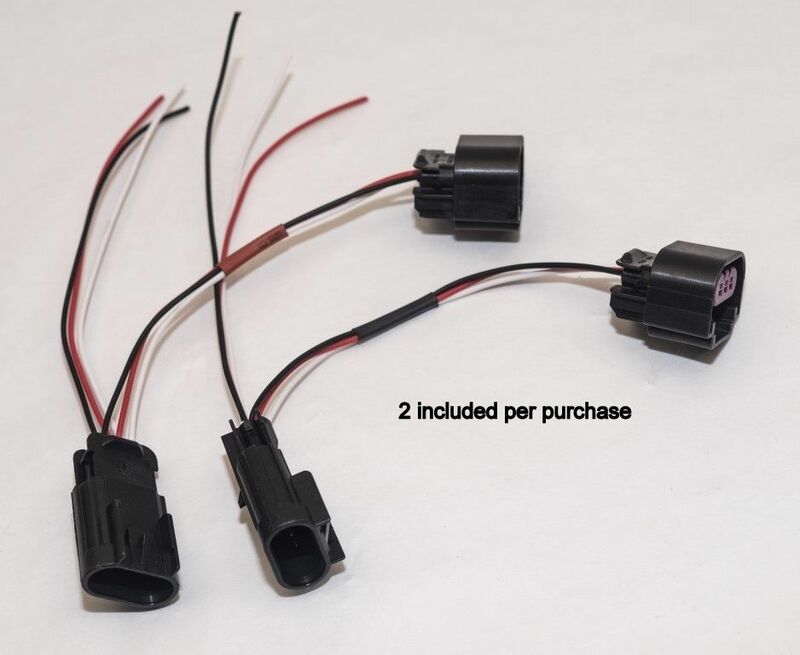 These are for 4th Gen Rams with Quad OR Dual headlights only! So.....what exactly are we looking at here? Whats the point? Say.....you got some new LED bulbs for your turn signals, and you don't want to tap into your stock wiring. No problem, tap to the wires on these adapters, keep your stock wiring untouched. Or........you got some halos? These typically need some sort of power source. If you want them to come on with your parking lights, you can tap the ground and middle wire on this adapter. 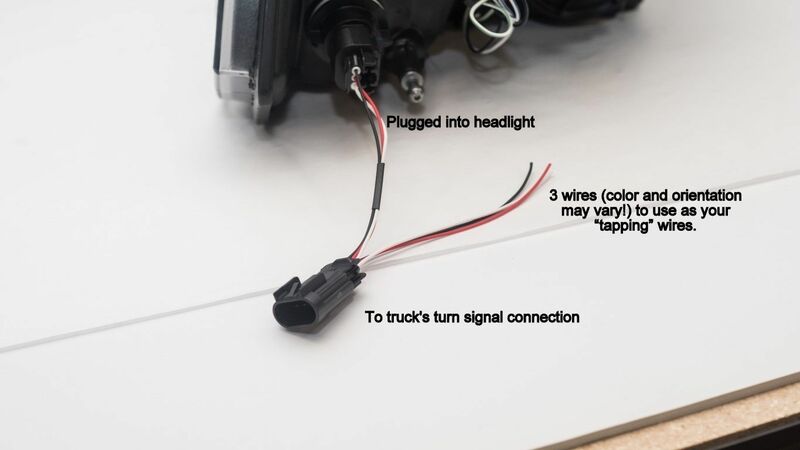 Or, in the case of the picture below - we used a set of switchback halos, which has all 3 wires used.